Simplicity is here to stay. 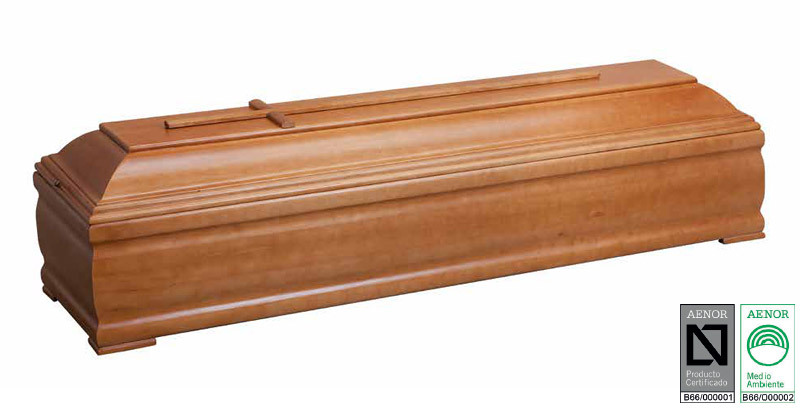 Coffins with a classic and elegant design that also complies with the strictest environmental regulations. 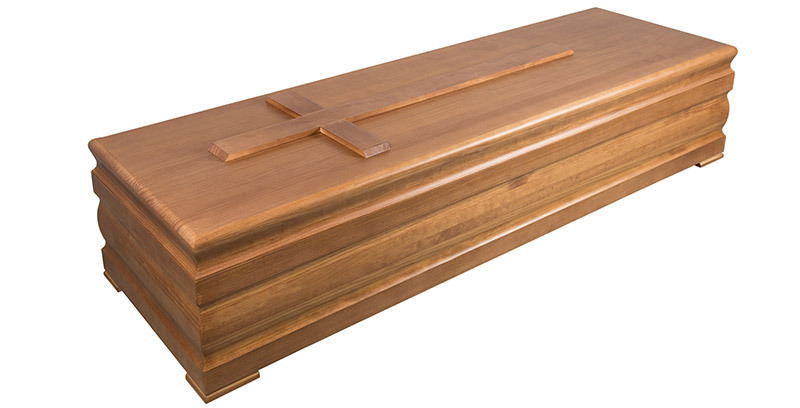 Like the Cremation Range, these coffins have been certified with the AENOR N and AENOR ENVIRONMENT marks, making them environmentally-friendly products in their entire service life, with combustible, degradable and/or biodegradable properties. 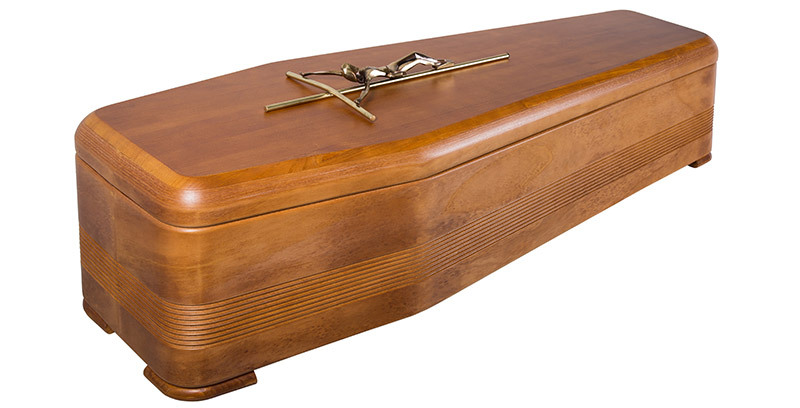 Coffins made from pinewood/poplar wood with square shape. 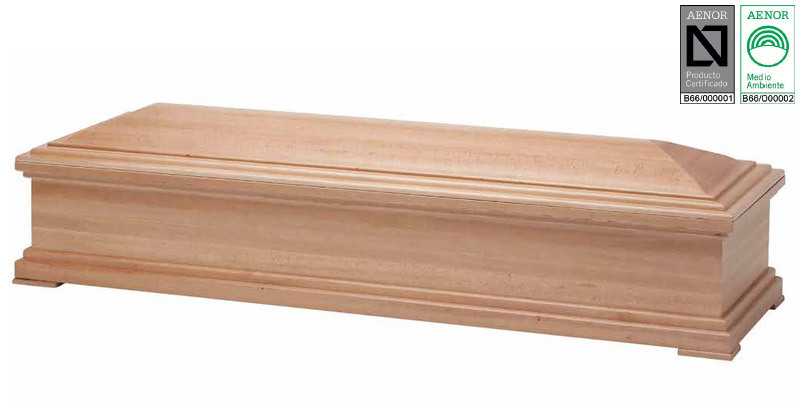 Solid slats of pinewood/poplar wood with rounded-edged upper part. Moulded side panels made from solid slats of 16/35 mm pinewood/poplar wood. Eco-friendly to be chosen by the customer. Joints sealed with white adhesive and clamps; pegs at head and foot joints. Dye: Natural water-based dyes according to water colour palette. Priming: Clear water-based acrylic varnish. Finish: Clear water-based acrylic varnish. Upholstered with white or beige cotton liner with or without frill. 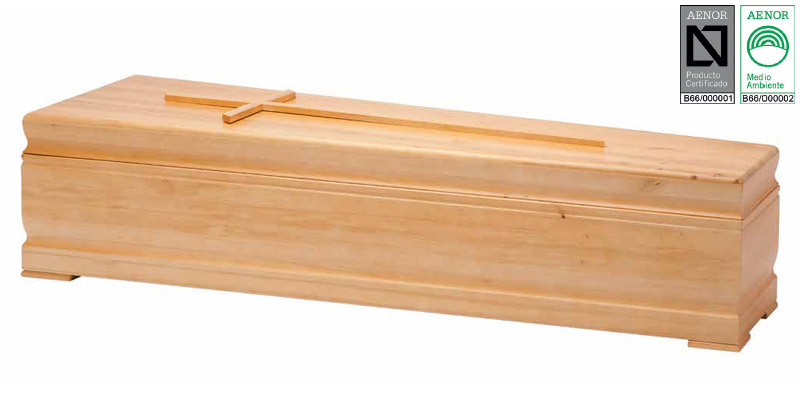 Wooden handles for head and foot.